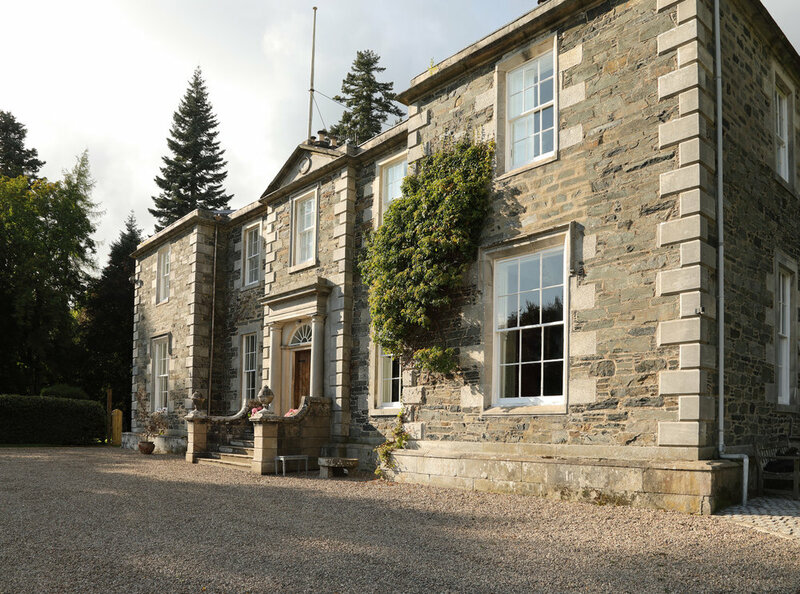 There’s no doubt that Balnakeilly House has everything you need for a fairytale wedding. Whatever your wedding style or size, Balnakeilly is truly the venue of your dreams. As soon as you visit us and get to know our house and grounds in all their glory, we’re sure you will be won over. We can host your special guests in luxury and style and we will work with you to ensure everything on your big day is just as you imagined. Balnakeilly’s sweeping driveway, manicured grounds and columned front entrance is the perfect backdrop to your dream wedding or civil partnership. We are a luxury exclusive use venue just 90 minutes drive from Edinburgh and Glasgow with staff who will pull out all the stops to ensure everything runs smoothly on the best day of your life. Indoors or outdoors, we have the space for you. We can arrange for a yurt, marquee or tipi to be erected in one of our three gardens with their views across the stunning Tummel Valley. If you would prefer an indoor ceremony and celebration, our grand dining room or trophy room which leads out to the west lawn can be set up for up to 50 guests. The house itself sleeps up to 26 people in 13 carefully designed bedrooms. As experienced event organisers who have helped create dream weddings for countless couples, our staff have strong relationships with fantastic caterers, wedding suppliers, florists and service staff to ensure that the finishing touches on your big day are extra special. The best way to discover the delights of a wedding at Balnakeilly House is to come and see us – and imagine yourself right here for the happiest day of your life. Please contact us to discuss your upcoming service and we would be thrilled to meet you.